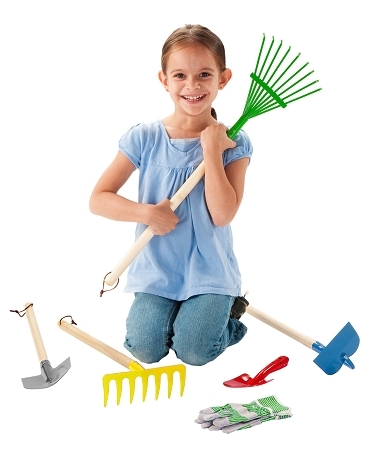 Real kid sized garden tools for the young gardener in your life. 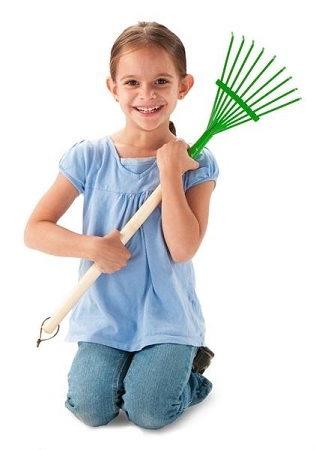 These tools work just like the adult versions. 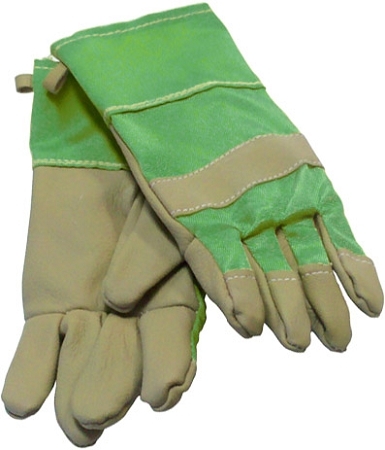 Made of stamped steel, welded for strength and durability. Powder coated for durability and a great look! 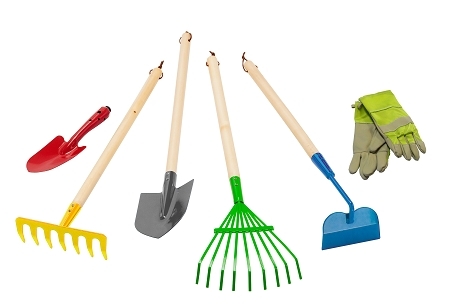 Set includes: leaf rake, soil rake, shovel, hoe, gloves and a hand trowel.